There are a couple of reasons why you want to target Android users when building your next app. As of July 2015, Google Play remains the largest app store with 1.6 million available apps followed by Apple’s App Store with 1.5 million apps and three other comparatively small app stores: Amazon (400,000), Windows Phone (340,000), and BlackBerry World (130,000). With the Internet of Things appearing seemingly everywhere, Android is not only about smartphones and tablets anymore. They now wrap around your wrists, sit in your living room, and tell you where to go when you drive. While Android market has the largest user base compared to iOS, Apple’s users spend four times as much as Google users do. Benedict Evans, a partner at Andreessen Horowitz named a few contributing factors to this phenomenon. One of them is that Android’s market share is mostly dominated by users in emerging markets where purchasing power is lower than that of developed countries. What does this tell you? The right way to monetize your app. If you can’t charge for your apps, there are a couple of other ways to earn money: Freemium model, in-app advertisements (app-vertising), and affiliate programs. One factor you should consider is where your main targets are geographically located. AppAnnie, a mobile app intelligence platform reported that the share of revenue generated through app stores (e.g. in app purchase) versus in-app ads varies widely across countries. You can download their complete report here. A word of warning from the latest report of Vision Mobile in Q3 2015, 51 percent of mobile app developers are still below the app poverty line ($1-$500 total monthly revenue) and this is because they rely on paid downloads and in app ads. The report continues that the vast majority of revenue has been via in-app purchases (freemium) and this percentage keeps increasing. The ads can be successful if you already have a huge audience that stays engaged for a long time. If you are still interested in having app-vertising, you can take a look at 20 advertising networks that will help you create standard or creative app-vertising models. The next lucrative way is via a Cost Per Install (CPI) or affiliate program. Basically it is a way of advertising real goods or services and you will get a commission every time a user buys their products or installs their apps. For instance, if you’re building a travel guide app, instead of charging for a content download, you can integrate a CPI program that sells flights or hotels. In the end, this program pays a lot more than app-vertising on a cost per impression and per click. Here are some of the best CPI networks you can look at. This is probably not a secret, but seeing the common mistake of copying iOS UI/UX design into an Android platform is still rampant, so it’s worth telling. This common mistake is especially made by cross platform developers who have the misconception that the final goal of developing a cross platform app is to have 100 percent code reuse. When it comes to cross platform mobile apps, expecting 100 percent code reuse will cause you to have little control over your app’s UI and UX. Not only this, your app will also look exactly the same across all platforms. Make all the programming logic independent from both the screens and platforms it will run on. Only then will you ensure that all of the UI code is decoupled from its logic code and both codes can work independently. There is a template on GitHub which helps you achieve this very purpose. On top of this, read the Android design guidelines. Here you will find all UI requirements that allows users to successfully navigate, understand, and use your app. The rule of thumb to see if your design is intuitive is to ask your least tech savvy friends or relatives to try your newly developed apps. If they can figure out how it works, the chances are your target market will find it intuitive as well. However, if your target market knows about Git, there’s no need to ask your least techy friends to try out your app. For instance, the GitHub clean interface is full of text rather than icons or visual cues. Take notes how they interact with your apps, what they think of the text, button, content structure, and which parts of the app they got stuck on. There are a couple of tricks you can implement to build that intuitive design you’ve been thinking of. For instance, don’t reinvent the wheel (e.g. red for errors, forward button is always the right pointing arrow), group related objects together (settings, profiles), and keep it simple – prioritize what features to add, the more you add the higher the chance it will get cluttered. Remember the old days when jogging was only about, well, running around the park with your running shoes and sweatpants? Thanks to running apps and wearable devices, your jogging experience now feels like tracking your website performance and online competition. They give you feedback on distance travelled, calories burned, time spent, and more. You can also compete with your friends by uploading your stats and results to the leaderboards or by sharing them to social media, which are the fun, gamification elements of the app. Social features are also powerful, free marketing tools for your app since it gives your users the room to talk about your app. Even with a simple note app, give it the feature to be able to share notes with friends and colleagues. Let people tweet, share, pin, do whatever they want to satisfy their social interaction needs while at the same time they employ word of mouth to freely advertise your app. Never ever in your developing career release your app without testing it. And you shouldn’t be the one who does the testing either. Ivan Dimoski, a Java Developer of the highly rated, cute overload live wallpaper Ooshies, suggested that you should use both the Alpha test and Beta test for your app. The Alpha test is evaluated by a small group of your teammates and preferably Android developers. Chance is high that they will use their high end devices and developers options to give you mainly bug reports, and hopefully code optimization tips and tricks. And just because the experts have done the tests for you, doesn’t mean you should stop there. After all, you’re building your app for your users and not your fellow developers. With beta testing, a much wider audience is involved in testing the stable release of your app. This audience will provide feedback without affecting your app’s public review. You can choose between open beta, where any user with the link can try your app, or closed beta using email addresses or Google+ community or groups. Good news is, Google’s Developer Console will provide you with all these features. Your awesome mobile apps won’t automatically be top of the grossing apps charts or most downloaded on its own. Without a solid marketing plan, no one will know what it is, what it does, or how it does it, especially since your target market is a consumer and not a developer. Unfortunately, many developers spend most of their efforts developing apps and no time on promoting their app – and this is a recipe for poverty. The VisionMobile’s App Economy report showed 19 percent of developers who spent little time on marketing made more than $5,000, yet the percentage went up to 36 percent for those who heavily relied on marketing. If you are ready to put more effort in cost-effectively marketing your app, check out this complete guide or you can start small by employing some free marketing channels. Ready to build your great Android apps from scratch? 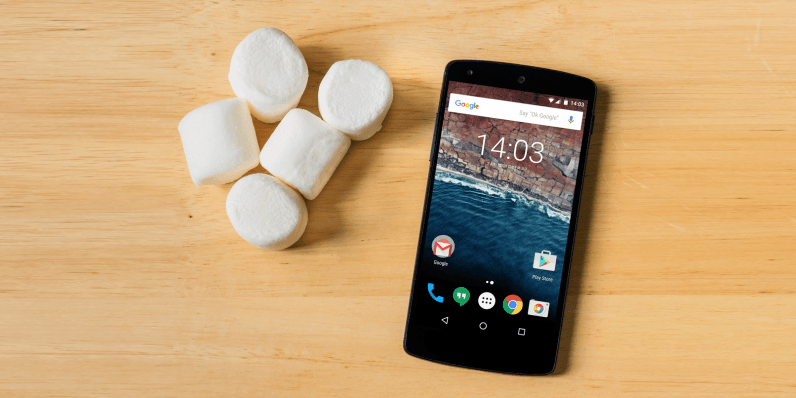 On TNW Deals, you can learn how to build 14 apps for Android Marshmallow at 91 percent off the official price. With this bundle, you will be taught the bread and butter of developing for Android Marshmallow, make real apps like Uber and Instagram with project based lessons, learn to submit your apps to Google Play, effectively market your app, and even take a look at the future of wearable computing with Android Wear.